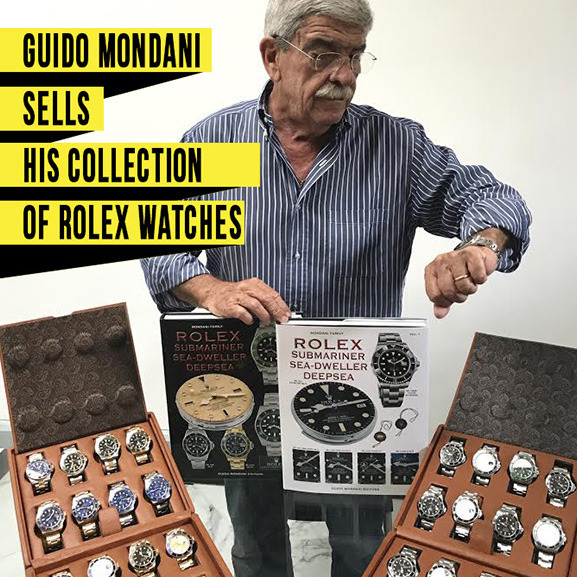 Autumn brings great news for watch lovers: at our marketplace you can find exclusively for sale Guido Mondani’s collection of Rolex watches! All his timepieces for sale are published in his new books “Rolex Submariner Sea-Dweller Deepsea”. 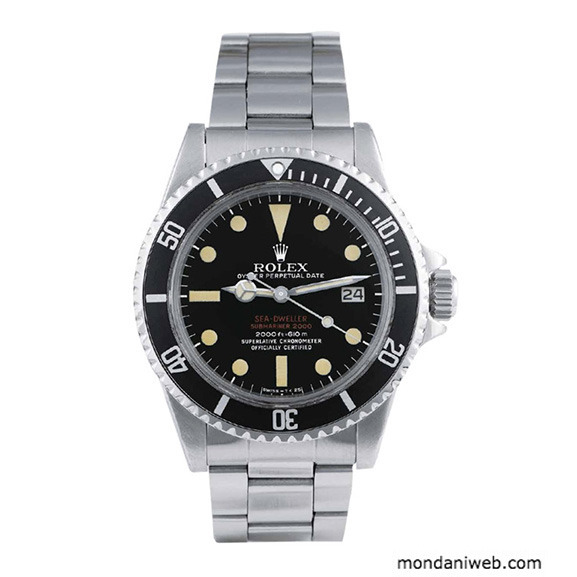 This Submariner from 1973 is in excellent condition and comes with its complete kit and features a “Red-Mark V” dial. 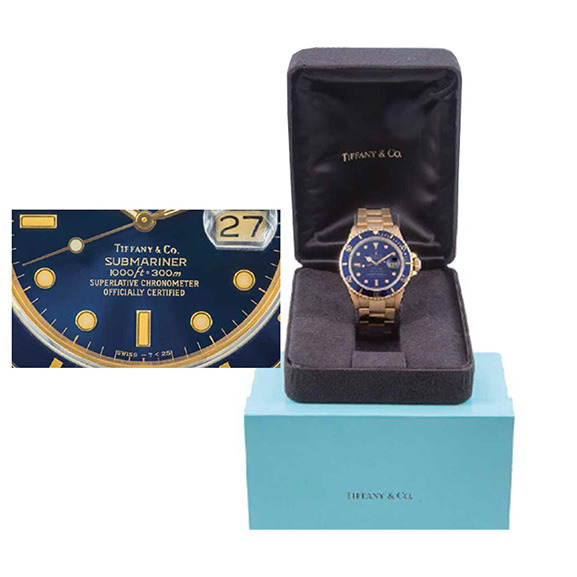 This rare watch is accompanied by its warranty and the “Tiffany & Co.” box. It sports a “bicchierini” dial custumized for Tiffany & Co. Double red writing for this Sea-Dweller equipped with an Oyster “Fliplock” bracelet with the Ref. 93150. 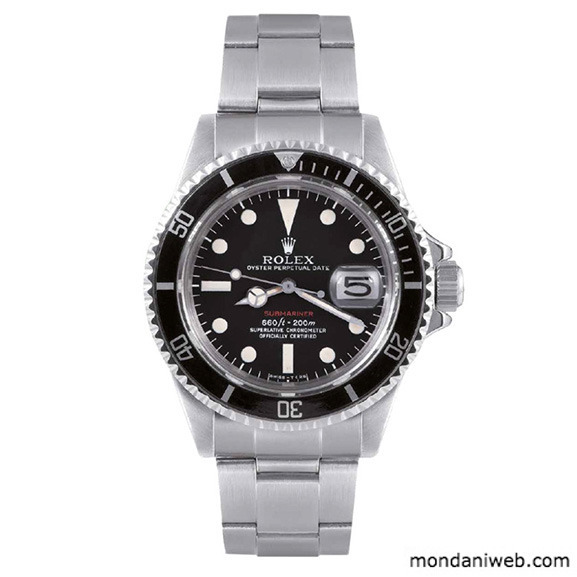 This “triple-six” Sea-Dweller is accompanied by its complete kit and feature a MK IV “Spider Dial”. 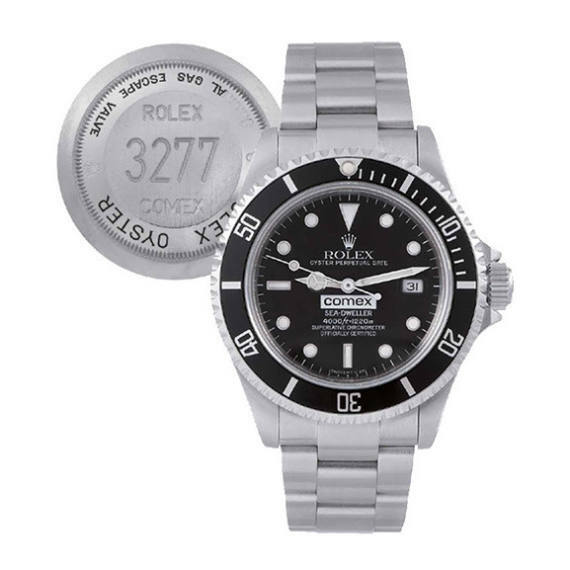 Accompanied by its perforated warranty and complete “Tool kit”, this watch is fitted with the bracelet ref. 93160. Its clasp is engraved inside with “P11”: the letter “P” indicates the year of production (1991) and the number 11, the month of November. 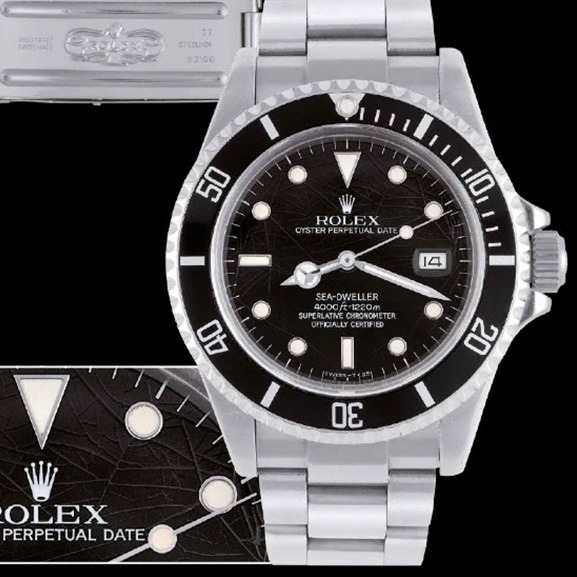 One of the 78 examples produced: a limited edition of Rolex Sea-Dweller watches ref. 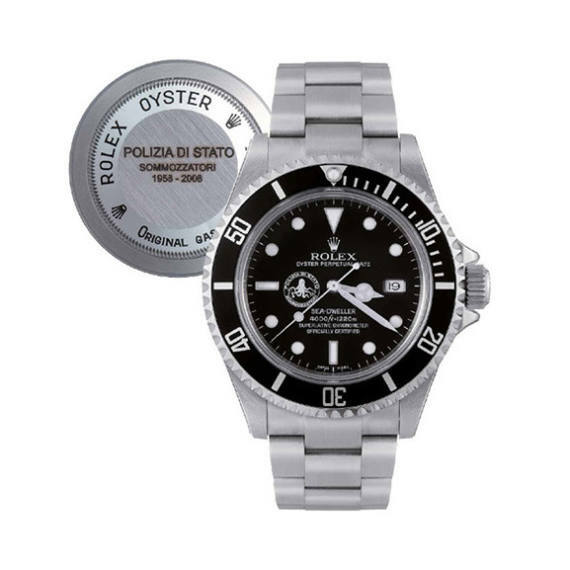 16600T was created to celebrate the golden jubilee of the State Police Scuba Divers Institution. 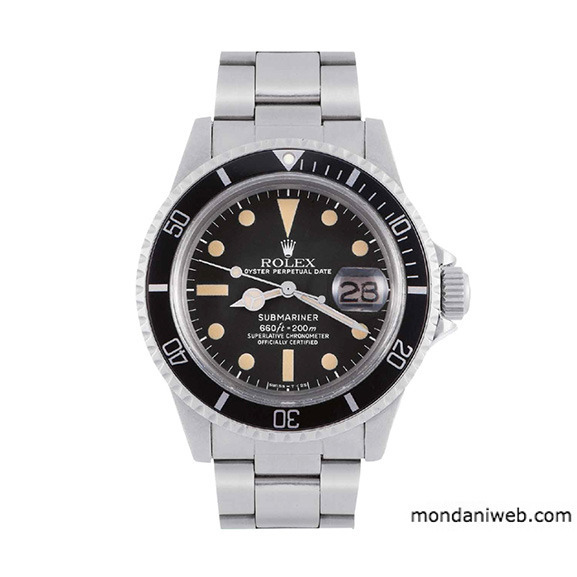 Super rare watch, full set. Very rare watch with a particular characteristic that makes it more interesting and gives it a high collector’s value: the exclamation mark! 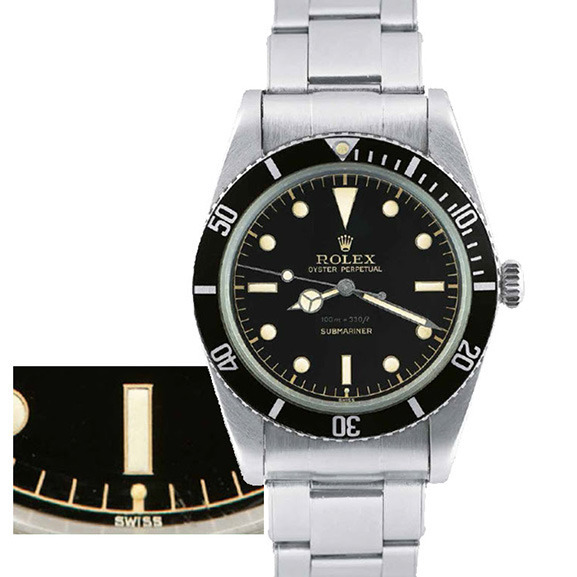 This watch with white printing represents the Mark II version: the only type among the “White” 1680, that has open 6’s on the dial.Sold by Bucherer in 1979, it comes with its complete kit. 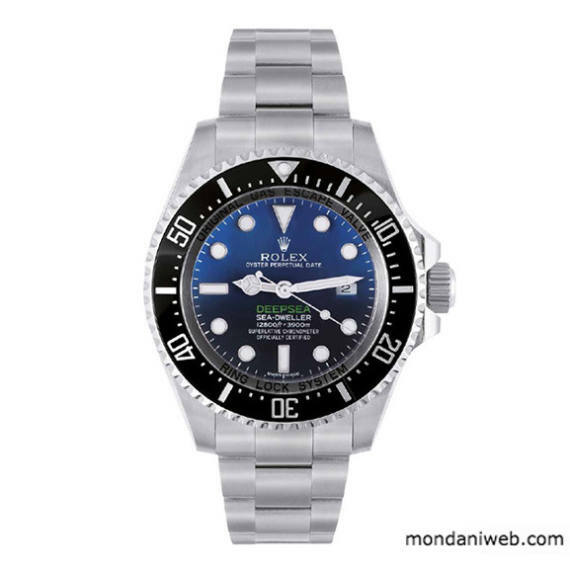 This two-color dial gradually goes from brilliant blue to bottomless black with a bright green DEEPSEA writing.